Aluminium Windows, Kenilworth | Origin Flush Windows, Warwrickshire. Aluminium windows are thermally efficient, let in lots of light and create stunning views. Take a closer look at our Origin flush window aluminium range and discover a product that will transform your home completely. Origin aluminium windows provide a stunning flush sash window system. The incredible aesthetics of each installation we complete is underpinned by market-leading performance that delivers. Your aluminium windows can be installed in a choice of three different styles – casement, bay window and gable. You can also perfect the design of your product by choosing your preferred finish, colour scheme, hardware and window furniture. Fox Windows installs Origin aluminium windows for homeowners throughout Kenilworth, Leamington Spa, Warwickshire and the surrounding areas. Contact us for further information and prices for our flush sash aluminium windows. The advanced triple weather seal that comes as standard with our Origin aluminium windows will keep your home comfortable. Your installation will also prevent the ingress of cold air that might under other circumstances cause mould or condensation. Upgrade options are available to improve performance. Ask about these when calling. Your new aluminium windows will be made to measure in every sense. We’ll help you choose the right configuration and take measurements when we visit, so that your installation is completed without delay or problems further down the line. 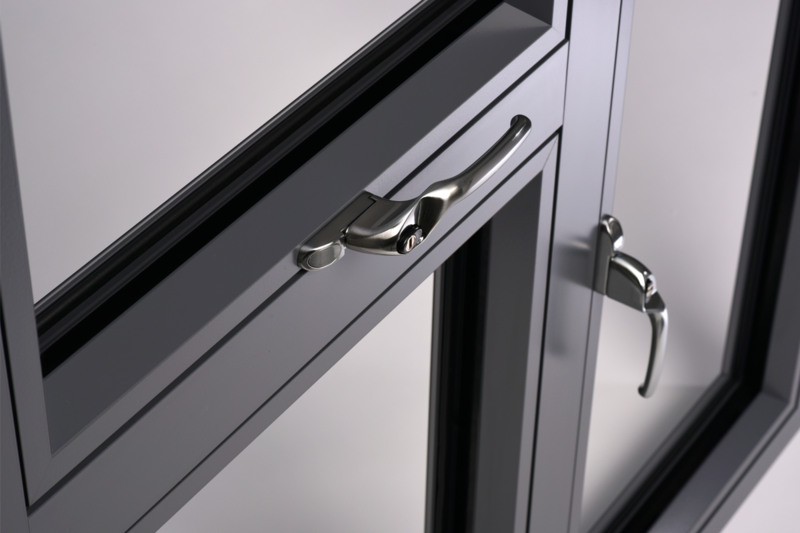 You’ll be able to depend on the quality of your new flush bay, bow or casement windows. Create aluminium windows that meet your design requirements. Casement windows exhibit a neutral aesthetic that will look at home anywhere - while bow or bay windows create more space inside your home and create an eye-catching feature outside. Enhance the look of your windows with your preferred colour scheme and foils. Choose from more than 150 RAL colours and access a portfolio of stunning woodgrain foils that include oak and walnut. A choice of different window furniture, such as handles and hinges, can be used to create those all-important finishing touches. We’ll help you with these smaller details to ensure your installation is perfect. Fox Windows will gather all the information needed to make your installation a success. From the moment you contact us for advice, through to the point of installation, we’ll be on hand to help. You can even call us after we’ve installed your aluminium windows if you have any questions. Why not get in touch with our friendly team today? We chose Origin as our aluminium windows partner because of their strong industry reputation. The technology used in their products delivers market-leading performance that will continue to deliver value long after the work has been completed. The colours in your window won’t fade over time either, so you’ll be able to enjoy them for longer. Whether you choose an aluminium casement, gable or bow & bay window, you’ll be able to use it to meet your home improvement requirements. Our Origin windows look stunning in a lounge, conservatory, orangery or house extension. Use our VR tool to explore our Ultraframe range if you’re thinking of extending and purchasing aluminium windows. Aluminium is an incredibly light material. This makes it easy to manipulate on site and speeds up installation time. The agile design of your aluminium windows will also make them easy to open and close. Your installation will combine pragmatic design with outstanding looks – there really aren’t any downsides with our Origin aluminium windows. Even their profile is the sleekest and most flush aluminium profile in the industry. Another benefit of choosing an aluminium product is that it will let in more light. This is because of the low frame to glass ratio exhibited by its design. Better views of the outside come as standard with our aluminium windows and your room or extension will feel more spacious. Let the outside in by starting your journey with Fox Windows today. Our aluminium windows are watertight and won’t let in any rain or draughts. The material used to build your product won’t deteriorate across time – so you won’t need to replace or repair your installation for a very long time. Your purchase will be an investment that also returns value by delivering incredible performance and improving your home’s kerb appeal. 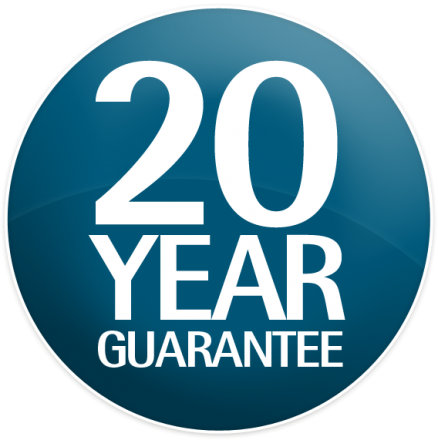 On top of the quality of our aluminium windows, they also come with a 20 year guarantee. Discover our aluminum windows by contacting us today. The Fox Windows & Doors team will help you add those all-important finishing touches to create the perfect flush window. We’d love to help you with your new aluminum window project in Kenilworth, Warwickshire, Leamington Spa and surrounding areas. Call or email us for advice or a guideline quote today. You can also book in for a free, no obligation appointment so we can accurately quote your new aluminium window installations.